We are one of the leading manufacturers and exporters of various other Jute bags such as Handmade jute bags. 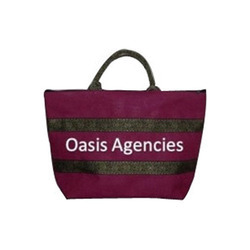 We also make tailor-made other Jute bags such as Handmade jute bags based on the customer's specifications. 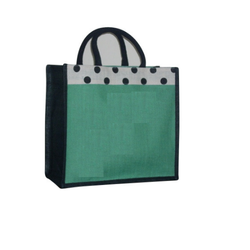 We are one of the leading manufacturer of Green Polka Dot Bags which are made of Jute. This high quality bag is very popular in the market segments for their high durability, quality, optimum performance and reliability. We make use of first grade raw materials that are sourced from reliable vendor base of the industry. The exclusive range of Handmade Jute Bag options offered are made using eco friendly jute material which makes it not only durable in terms of usage but as it is completely recyclable, the product also does not harm the environment. Meeting the safe carrying needs of groceries and other items, these bags offer a perfect choice for outdoor usage in a stylish way. Some of its features include simple yet exclusive designing standards, offering easy to carry option, attractive finish, availability in different color choices, choice of other size and design options under customization provision and others.